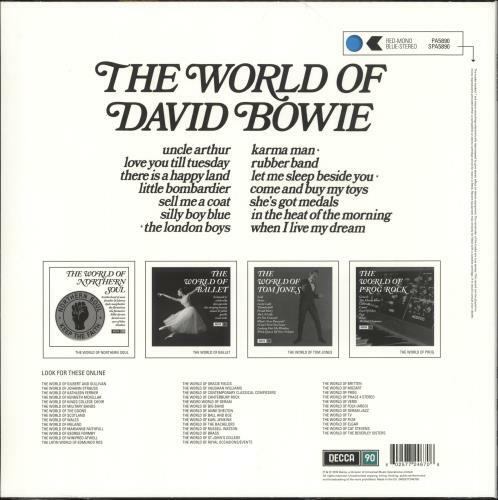 DAVID BOWIE The World Of David Bowie (2019 UK limited edition 14-track LP issue of his classic 1970 compilation now pressed on 180gram Blue Vinyl exclusively for Record Store Day. 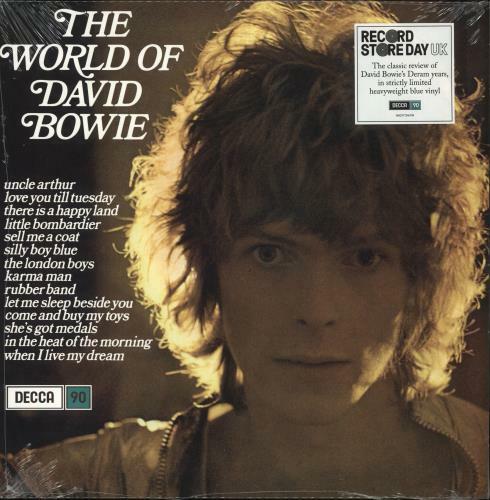 With a tracklistinghand-picked by Bowie himself, this compilation is a classic review of his Deram years comprising material from his self-titled first album as well as previously unreleased songs, the first official release of Let Me Sleep Beside You, Karma Man and In The Heat Of The Morning. The vinyl is BRAND NEW & UNPLAYED housed in the picture sleeve which remains sealed within its hype-stickered shrinkwrap PA5890).